Indoor Plants as Air Filters | Our Farm by Earth Flora Inc.
Our farm has been growing flowers for more than 15 years now. And we often forget the foliage that grows around our greenhouses. The pretty flowers jut out and call a lot of attention but really, equally important are the greenery that surrounds us as well. Nicolo loves ornamental plants as much as he does flowers, and farming. He can actually tell you the name, genus and species of every plant and tree you see and can go on for hours. A lot of people count us lucky to always have flowers in the house. And we are. But today, we would like to highlight plants as well. There’s something delightful about going inside a home filled with plants. The air’s a little bouncier, and you can actually breathe easy. And since you spend most of your time indoors, it helps to have a breath of fresh air especially when you live right smack in the middle of smoke city. In fact, indoor plants not only produce oxygen, they also absorb benzene, formaldehyde, xylene, toluene and trichlor. NASA made a study on the best indoor plant filters. I have come up with my own list, adapting it to the availability of plants here and our tropical climate. These are VERY easy to have. 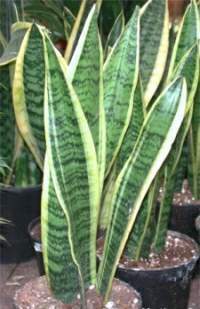 Indoor plants originate from dense shades in tropical forests. The reason why they make good air filters is that they have a very high rate of photosynthesis (that’s why they don’t need as much sun.) Below are some of my comments based on growing them indoors in our home. These are the easiest to take care of. They don’t need much sun and in fact thrive beautifully indoors. You also get a pretty white flower thatreminds you to om your way to peace. Chinese Evergreens X X These plants you can actually see everywhere as they are the office and mall favorite. They are sturdy and also do well indoors. I am not too fond of the plant though. They don’t look pretty J but you can buy small ones to keep on a desk. Bamboo Palm X This ornamental I really love. They have nice pretty stalks that look like red bamboo and you can keep them for months. They also grow tall. I have had Bamboo palms inside my house growing for more than a year. Draceana (Fortune Plant) X X Some people love this because it supposedly brings good fortune. I tried my luck and have these plants at our shop all the time.We bring this plant outdoors once a week. I try to water it twice a week. But I’ve seen this plant thrive so long without sun exposure. Ficus X Quite elegant and can grow quite tall. I haven’t been very successful at keeping it for so long. I think it needs some sun. It is also sensitive to drafts. After a few months the top branches wilt. The little leaves always fall off too so you need to always sweep. 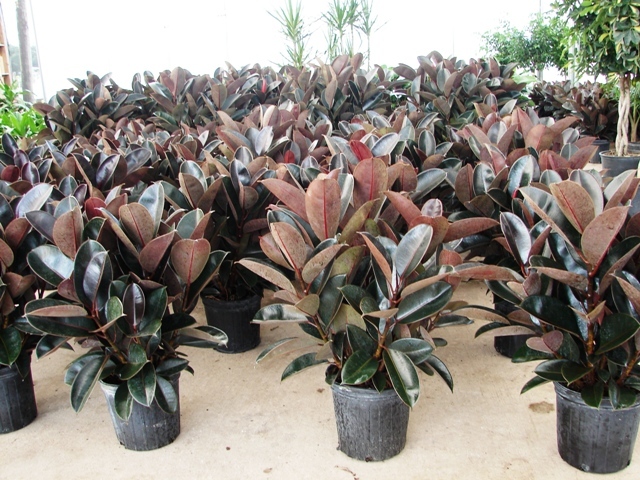 Rubber Plant X A strong indoor plant that tolerates drought. It has shiny leaves that almost look like plastic. Boston Fern X I like how this plant looks but it is not as strong as the other plants. I think it’s because this plant likes humidity and you should be misting it when it gets too dry or hot. Could last a few months without a lot of sun. Areca Palm No one pays much attention to this palm as it is quite very common. But I love this plant and have had the palm for more than a year. It looks pretty indoors as they grow to a good size. I usually buy 2 or 3 (P100 each) and have them put in one big pot. Spider Plant This is the easiest to keep. You can neglect it and still it will thrive. These are those common plants you see with the long thin leaves that have a white stripe in the middle. You supposedly need 1 plant for every 1 square meter of floor space. You need not keep these plants near the window all the time nor do they need direct sun. Bi-weekly by the window with some filtered sun does the trick. I also water only once or twice a week. I buy my plants from the Bulacan Gardens, Guiguinto, Bulacan. It’s quite easy to find. Just take the exit that says Guiguinto and you’re apt to see gardens on one side of the road. It takes me about 1 1/2 hours (from Makati) but it’s definitely worth the time and the gas. The prices are 1/3 what you would pay for them in other markets/gardens. You can get small plants for about P50-75 a piece and large palms at P100-150. 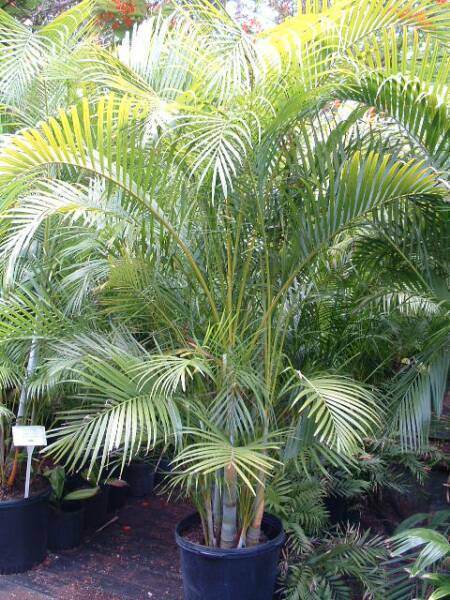 The more special ones (like an enormous Peace Lily or Areca Palm) could go only as high as P550. Go with P2000 and you’ll have enough plants to fill a small home. Another option is the Manila Seedling Bank. There’s also a wonderful book How to Grow Fresh Air: 50 House Plants that Purify Your Home or Office. The book tells you about contaminants and toxins in your indoor environment and how plants remove these from the air. It also tells you what plants to buy and how to take care of them. Wow…this is so cool…thank you for the comprehensive list…. it’s been on my mind lately and now i at least have a bit of a clue. THANK YOU!!!! You’ll love having a lot of plants inside. If I had my way, I’d make mine a tropical forest. Haha. Hi. Most garden stores would have it. I have bought both in the Bulacan gardens and in a garden center near Sta. Rosa towards Cavite. They should have those. Just ask for indoor plants. Hi, thank you for this very informative list. I’m really checking indoor plants best for condo’s since they are quite strict outdoor decors for the balcony area.. But I think I really need plants to humidify the closed area of our pad which triggers asthma . Most of these plants are available at Farmers, Cubao. Many Thanks again.